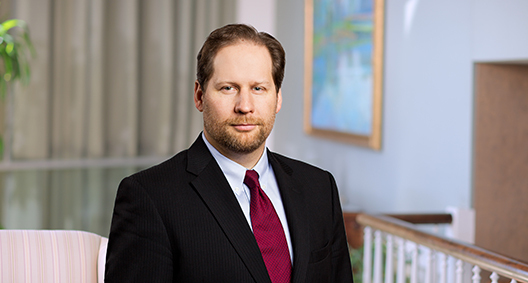 Mark Lehnardt counsels U.S. and foreign producers, importers and exporters in antidumping and countervailing duty investigations and proceedings, and in related litigation and dispute resolution. He has led and supported investigation defense teams before the U.S. International Trade Commission and the U.S. Department of Commerce, with significant experience representing Chinese exporters. Driven to achieve client objectives, Mark views issues from his clients’ standpoint, considering the long-range effect of their decisions. Mark’s work developing novel substantive and procedural legal strategies, and careful dedication to client goals in the midst of ongoing government audits contributed to BakerHostetler’s receiving Law360’s 2018 International Trade Group of the Year award. Following a two-year clerkship at the Court of International Trade, Mark spent four years as an attorney in the Department of Commerce, Office of Chief Counsel for Trade Enforcement and Compliance. He uses the extensive administrative law and litigation experience gained there to help his clients before the Department of Commerce, the Court of International Trade, the Court of Appeals for the Federal Circuit and the WTO Dispute Resolution Body. Mark has lectured in law faculty settings in China, Turkey and the U.S., and has presented training and information to industry groups and foreign government officials from China, Turkey and Latin America. While in law school, Mark worked for a law firm in Lima, Peru, and interned in-house for a multinational nutraceuticals company where he oversaw international corporate, international trade and Latin American legal affairs, including matters in Mexico and Venezuela. Briefed and argued for enforcement of court judgment for a Chinese tire manufacturer when the U.S. Department of Commerce refused to follow the court's order in favor of the tire manufacturer. The Department of Commerce claimed that WTO proceedings superseded all domestic litigation. The Court of International Trade, however, adopted the argument that WTO proceedings did not supersede the issues raised on behalf of the tire manufacturer, and compelled the Department of Commerce to lower the tire manufacturer’s countervailing duty rate. Lead counsel for the largest Chinese exporter of finished drill pipe in litigation challenging a decision by the U.S. International Trade Commission affirmative determination that imports of drill pipe from China threatened injury to the U.S. industry. The U.S. Court of International Trade remanded the decision for clarification, and the International Trade Commission reversed its determination to negative threat of injury. On appeal by adverse parties, we argued that the standard of review prevented the Federal Circuit court from altering the Court of International Trade decisions, and the Federal Circuit court summarily dismissed the appeal. Argued before the U.S. Court of Appeals for the Federal Circuit for affirmance of negative market distortion finding by the U.S. Department of Commerce and the consequent exclusion from CVD Order of client Turkish steel company. The Federal Circuit court affirmed the finding. (Maverick Tube Corp. v. United States, 857 F.3d 1353 (Fed. Cir. 2017)). Argued before the U.S. Court of Appeals for the Federal Circuit for reversal of 20-year-old U.S. Department of Commerce interpretation of the trade law. The appeals court reversed the lower court's decision, resulting in the reduction of the all-others countervailing duty rate from 374.15 percent to 7.37 percent. (MacLean-Fogg v. United States, 753 F.3d 1237 (Fed. Cir. 2014)). Argued before a Federal Circuit appeals court for a reversal of 20-year-old U.S. Department of Commerce interpretation of the trade law. The court agreed that the Department’s interpretation was unlawful and reversed the lower court's decision, resulting in the reduction of countervailing duties on aluminum extrusions products imported from China by more than 350 percentage points. Developed legal theory and strategy to settle litigation challenging countervailing duty determination by the U.S. Department of Commerce, negotiated settlement with Department of Justice, resulting in countervailing duty liability reduction by more than 375 percentage points for an Indian steel industry client. Argued before the U.S. Court of International Trade that the U.S. Department of Commerce could not avoid enforcement of judgment by claiming that WTO proceedings superseded all domestic litigation. The court agreed and ordered the Department of Commerce to lower client Chinese tire manufacturer countervailing duty rate. (GPX Int'l Tire Co. v. United States, 70 F. Supp. 3d 1266 (Ct. Int'l Trade 2015)). Lead attorney presenting the argument that the U.S. International Trade Commission affirmative threat of material injury determination was not supported by substantial evidentiary support on the administrative record. The court agreed, remanding the affirmative determination for clarification. The determination ultimately was reversed, and the reversal was upheld on appeal. (Downhole Pipe & Equip. v. United States, 34 F. Supp. 3d 1310 (Ct. Int’l Trade 2014)). Argued that surrogate value selection by the U.S. Department of Commerce was unsupported by substantial evidence on the factual record. The Court of International Trade agreed and remanded the case for the Department of Commerce to select a surrogate value that was supported by substantial evidence. (Downhole Pipe & Equip. v. United States, 887 F. Supp. 2d 1311 (Ct. Int’l Trade 2012)). Drafted argument against expanding the Terms of Reference. The Panel agreed with the argument and rejected the EU’s attempt to include new measures in its request for establishment of the panel. DS350 United States — Continued Existence and Application of Zeroing Methodology (Complainant: European Communities). Drafted arguments against allegation that the U.S. had acted inconsistently with its obligations under the Anti-Dumping Agreement by imposing enhanced customs bond requirements on shrimp importers. The Dispute Settlement Body agreed that the antidumping provisions in dispute were not relevant to the enhanced bonding requirement. DS345 United States — Customs Bond Directive for Merchandise Subject to Anti-Dumping/Countervailing Duties (Complainant: India); DS343 United States — Measures Relating to Shrimp from Thailand (Complainant: Thailand). Drafted arguments in U.S. in third-party submissions setting forth the U.S. interpretation of relevant provisions of the WTO agreements, in one case working exclusively from party submissions in Spanish. DS331 Mexico — Anti-Dumping Duties on Steel Pipes and Tubes from Guatemala (Complainant: Guatemala); DS328 European Communities — Definitive Safeguard Measure on Salmon (Complainant: Norway).